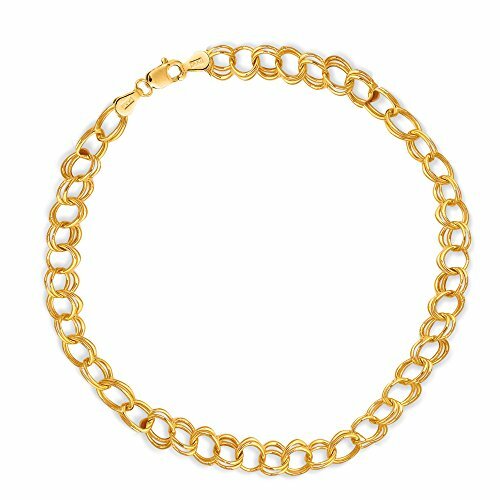 14K Real Gold Double Link Charm Bracelet with the lobster catch for safety and comfort. You may add your charms to this bracelet to create your own unique bracelet. All items come in a gift box 14K Real gold properly stamped and marked.